Home / News / I'm going to USUE! The enrollment campaign is continuing at USUE. Every day, dozens of entrants come to the University to apply for post-secondary education. The poll found that many of them prefer USUE to other higher educational institutions of the city. Why? We asked this question to future students. "As soon as I received a school-leaving certificate, I went at once to file documents for admission. I chose USUE on the advice of my friends who are studying here. I am interested in the natural sciences; I passed the USE in chemistry. I apply for a bachelor's degree and want to become a catering technologist. At the University, I liked the friendly attitude of the staff, who explained me everything and accepted the documents. I will wait for the results." "I came from Ecuador in November 2017. I apply for a master’s degree in Technology of Products and Public Catering Organization. The staff said that I was the first student at USUE from South America. I chose this university following reviews on the Internet. I examined the University site and I liked how everything was arranged. One can see eventful campus life and what the university lives with. The first impression about USUE is positive. I wish the studies began! " "While studying at school, I looked for the university to further study. On the advice of my mother, I chose an economic university. I would like to become an expert in personnel management. Most likely, I will study at the Institute of Continuing Education. I found out on the site that the training there takes only 2 years and 10 months, and a graduate is awarded a bachelor's degree. This is very convenient; I have not found such an accelerated training system in other universities." "To date, almost 200 people have applied to our Institute. The most popular areas among applicants of the Institute of Continuing Education (ICE) are jurisprudence, management, personnel management, public and municipal administration, and economics,” Anna Dubrovskikh, an ICE teaching and learning specialist, notes. "I would like to specialize in World Economy and Human Resources Management. I have a good understanding of economy, so I choose the appropriate training areas. For me, it is important to have an in-depth study of the English language, as now this is the basis for obtaining a good specialty. If I enter the World Economy, after the graduation I will be able to work in international companies. Now I am striving for it. " 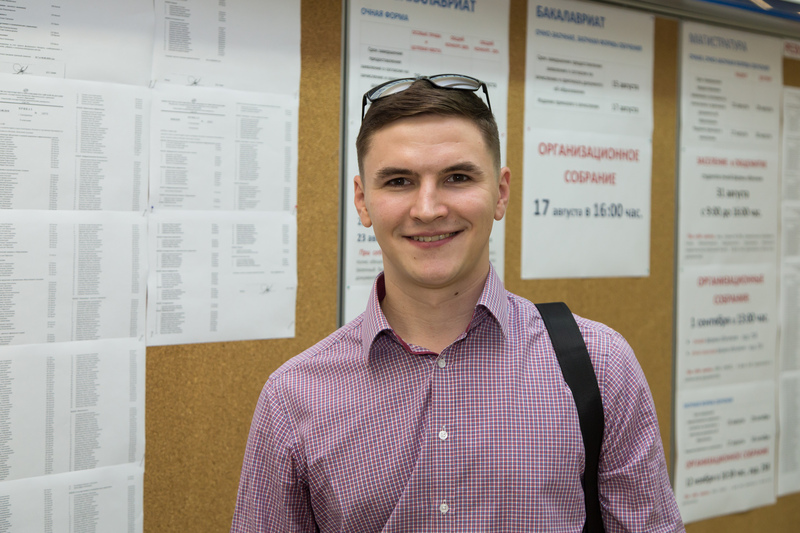 "I learned about Ural State University of Economics through acquaintances who advised me to enter it. Besides, USUE representatives came to our college and they told about the advantages of training here. I am going to choose Commodity studies. For me, USUE is a priority. " "I am entering the USUE Institute of Continuing Education to study Economics and Personnel Management. I graduated from a pharmaceutical college and wanted to try myself in another professional field. I chose USUE because of the possibility to train under an accelerated program. It is convenient that you can study for 3 years, and then enter a master’s course. " "I came from Nigeria. I studied at the USUE preparatory faculty. I have been living in Yekaterinburg for four months. I apply for Applied Informatics. I am interested in this specialty, so I decided to enter this university."